S&P 500 (Standard’s & Poor 500 ): Made up of the 500 most widely-traded stocks in the U.S. +24.27 (+0.87%). It's earnings season. Keep an eye out this week for shakeups in the stock market as companies report their Q2 (April through June) earnings. Here’s why that matters. Vibe check: Do you picture yourself ever owning a home? Wall Street is betting that you won’t. As housing prices and mortgage interest rates rise, making it more expensive to buy homes, many investment firms are buying up massive amounts of real estate to rent out. “The American dream no longer includes homeownership,” one investor said. If he’s right, he’s going to turn a pretty penny on all those rentals. If he’s wrong, you can learn more about buying a home here. Who’s got 5 on it? Tilray, a Canadian cannabis manufacturer and producer, is planning their Initial Public Offering (IPO) this July. Here’s what that means. When Tilray started, they owned 100% of the shares of their own company. The founders kept some of the shares and gave some to investors and early employees. Now that they want to raise money, they’re offering some of their shares for sale to the public. The shares will be sold on the Nasdaq, which is one of a few major places you can buy stocks in the U.S.
Tilray is a big deal because it’s the first cannabis producer to do their IPO on the Nasdaq. The times are a changin. While marijuana is still considered illegal by the feds, it’s big business. Last year Colorado’s weed industry gave its economy a $2.4 billion boost. Now investors may be looking for new opportunities to get in on the green. Think you’re too broke to save? Every time UniFi CEO Jess comes across a $5 bill in cash, she takes it as a cue to save and tucks it into her piggy bank, which is actually a hamburger bank that our co-founder Lauren made Jess in high school. 401(k): An account to help you invest money to save for retirement. UniFiers! You called! We answered. This week, by popular request, we bring you the (super) skinny on 401(k)s. If you want more info, our blog on 401(k) takes a deeper dive. First, let’s meet the family! While the term “401(k)” is thrown around a lot, there’s actually a bunch of different kinds. 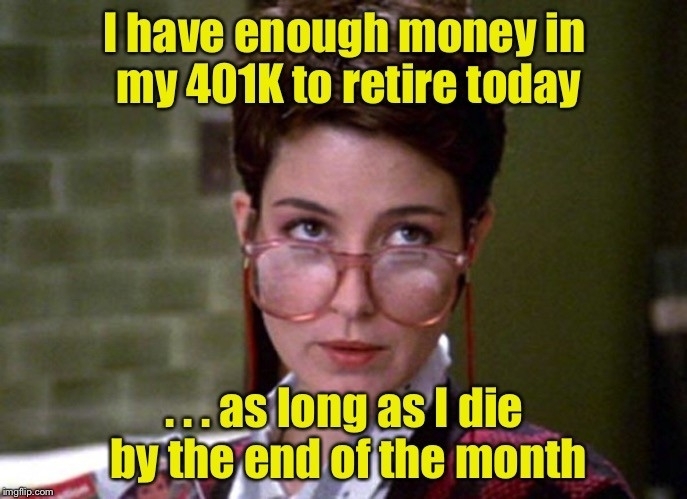 The stuff below applies to all 401(k)s except the Roth 401(k), which is a wild child. 1. The money you put in a 401(k) doesn’t get taxed until you take it out at retirement. It’s called “pre-tax” and it saves you money in the short-term. 2. Free money alert! Most companies (76%, but who’s counting?) will give you extra cash to match money you put into your 401(k). 3. Your employer may set money aside for you, but wait to give it to you. When they finally hand it over, it’s called vesting. If you’re thinking of quitting, check when your 401(k) vests so you don’t miss out on free money. 4. There is a limit to how much money you can put in your 401(k) each year. For most plans, the limit is $18,500. There’s also a cap for your employer. 5. If you take money out of your account before a certain age (typically 59.5) you have to pay taxes AND a 10% extra fee. Yeeps! 6. It is possible to take out loans on your 401(k), but you probably shouldn’t. 7. If you leave a job you may want to move your 401(k) money into a personal retirement account to save on fees. Depending on your employers, you also may be able to leave the money where it is or transfer it to your new employer’s 401(k) plan. 8. If you get a choice about what kinds of investments to make, the rule of thumb is to invest in riskier things when you’re young and safer things when you’re old. Here is what we mean by risk. 9. Last, but not least, the earlier you start investing in your 401k, the better. If that makes you feel overwhelmed, we hear you! And our new newsletter section, “Money Tricks Anyone Can Try,” is just for you. See for yourself why saving earlier is better with this tool. Plug in some guesses about how much you could save, and then play around with the age when you start investing. No matter your bank account status, we hope it encourages you to jump in early! SHARE, SHARE, SHARE: Share the UniFi love! Send your friends, family, ex-girlfriends, pets, former bosses, and in-laws the UniFi link and get one step closer to the perks in our referral program!